Sixty-nine percent of residency applicants preparing to graduate this May have been matched to a postgraduate year one (PGY1) residency. This exceeds the national rate of 65 percent. The research team conducted a meta-analysis to evaluate the safety and efficacy of direct oral anticoagulants (DOACs) in patients with cancer. Top three students named in the Rho Chi Top 200 competition! The Arizona Poison & Drug Information Center provides important updates and tips on identifying opioid misuse and how to prevent poisonings. Marti Lindsey, PhD, has been selected by the UA Commission on the Status of Women as the recipient of the 2019 Maria Teresa Velez Outstanding Appointed Professional Mentor Award. 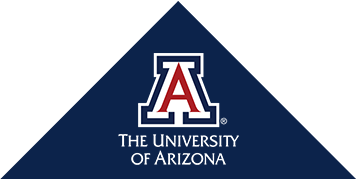 The UA College of Pharmacy is pleased to announce that the Department of Pharmacy Practice and Science has received the UA’s annual Department Award for Excellence. Lincoln Chin, PhD, a former faculty member and alumnus from the Classes of 1952 (BS) and 1954 (MS), passed away on Saturday, March 9. It was his 95th birthday. Congratulations Dr. Marupuru and team!